Giving up the reigns to my blog to Joe Coulter for the day. Check out his thoughts on traveling to Asia for the first time (and drinking while on vacation). This past May, Jenna and I had an adventure that took us over the Pacific Ocean to Vietnam to visit my friends: Major, Karen, Edward, and Andrew as well as to Laos with Mrs. Forstrom. 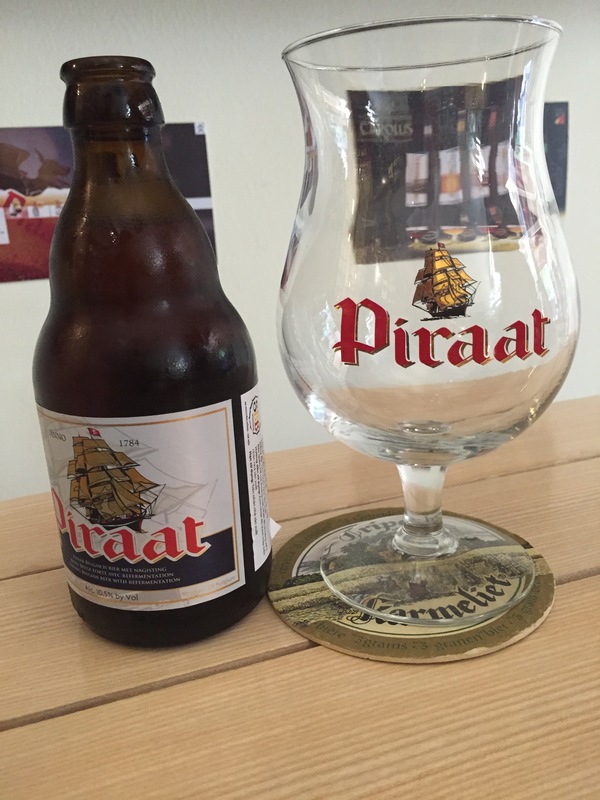 Here’s what happened in our Asia Beer Adventures 2015! Both countries had amazing food. Whether we were eating street food with Major or supporting a local non-profit, TREE Kaiphaen, with Mrs. Frostrom, our meals were always accompanied by beer or cocktails. Even though we were unable to go to any breweries, we did try a lot of different beers and cocktails during our trip to Southeast Asia. When we first arrived we taxied out to Ha Long Bay, this is where James Cameron got the inspirations for the Halleluiah Mountains in Avatar. Meaning, bay of descending dragons, Ha Long is dotted with thousands of lime stone islands that jut straight out of the water. While on our “junk,” yes junk – this is what they call their boats, we tried three beers. 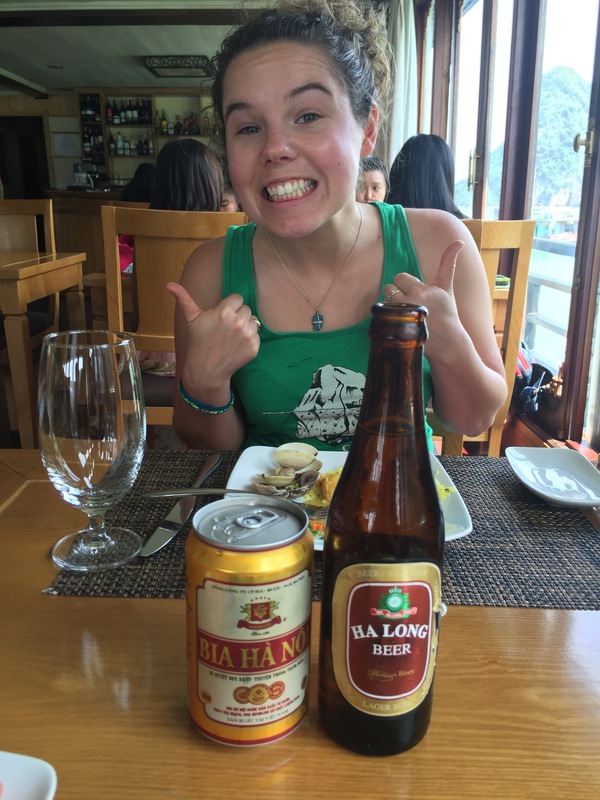 Ha Long Beer – this is a simple beer, not much taste, but probably equivalent to that of Michelob Ultra. 333 – this was my favorite. It was a dark amber and great flavors. On our way back to Hanoi, feeling that it was too hot and muggy outside, we took beers “to go” in our taxi. Both hit the spot, but neither offered much flavor. Dai Viet (Pilsner) – this was like any bad Pilsner in the States, but it cooled us down for the ride home. Dai Viet (Super) – is there form of a dark lager, more flavor, but still wanting more. Once back in Hanoi, Major had loads of adventures for us. He took Jenna and I, with Edward (their 3 year old son) in tow to a Bia Hoi (street bar that only serves beer). Here we tried two beers, one on draft and the other on ice! Yep, ice. Trúc Back – this was the beer on ice, and it made it cold and a little more bearable to drink. Bia Ha Noi (Draft) – now this actually was pretty decent on draft, and a good beer. Major and I decided that it was finally time for him and I have to have guy time, as we had not seen each other in over a year, it was time for us to go try out one of the places Major had had his eyes on for a while. We went to a new Belgium Beer shop that sold imported beer from, yep, you guessed it, Belgium. 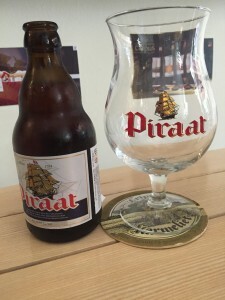 Piraat – Majored ordered this beer mainly because it had an awesome pirate ship on it. And it was a great beer. Lots of flavors, and was one of the best in Vietnam, probably because it was from Belgium. La Trappe: Trappist Blond – I ordered this one and again, an amazing beer. I ordered it because it had the word trappist, and I was going to beer’s brewing origins. We finally had to say goodbye to Major, Karen, Edward (in tears), and Andrew (sleeping) and make our way to the airport and head to Luang Prabang with Mrs. Forstrom. And without knowing anything about our destination, I was expecting a decent sized city, but as we landed, I saw our adorable, two terminal and gate airport waiting for us below, with cows grazing the grass in front (shout out to PDX’s goats and llama). While exploring the city, walking through the night market (where you could probably find anything), riding scooter, bathing elephants, swimming in waterfall pools, and relaxing by the pool, we did try some beers and cocktails. Beer Lao (Golf Course) – Now Mrs. Forstrom ordered three of these, thinking they were 12oz bottles, but three 22oz bottles came out, and we still had 30 minutes left to get back to Luang Prabang on our scooters (don’t ride drunk). But these beers hit the spot on a hot, humid day. 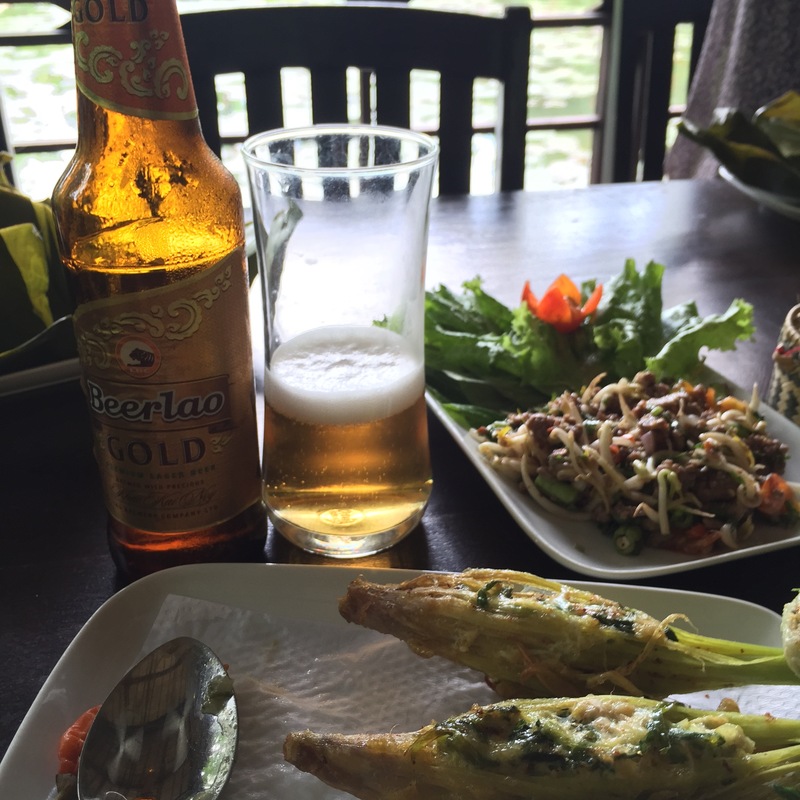 Beer Lao (Cooking Class) – we did a cooking class, and we made sure our food tasted great with beer, and it did. 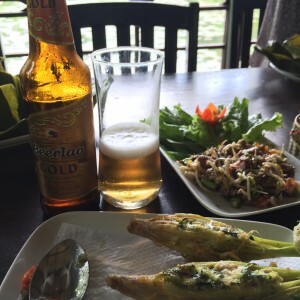 Beer Lao Gold (Cooking class) – Apparently this is supposed to taste different, I think it just had a higher alcohol percentage. All three Lao beers were good for the occasion, but nothing to brag about, probably comparable to Bud Light, Budweiser, and Budweiser Black Crown (so not great). On our flight to Vietnam, Jenna surprised me with a great present, The Cockpit Cocktail. This little gift comes with bitters, sugar, and a muddler to make your very own Old Fashioned. And that is what I did, and it was delicious. I recommend looking this company up, because it makes a great gift, and you get to make your own cocktail. 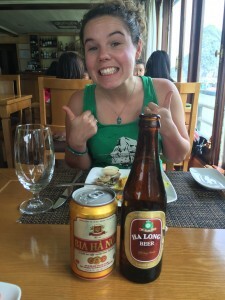 And while in Laos, Jenna and Mrs. Forstrom both got some shout out worthy drinks. Lao Lao Whiskey – Jenna enjoyed two of these by our pools. It is a great whiskey sour made with Laos whiskey. Pineapple Chile Margarita – This was a great drink from TREE Kaiphaen, and we each ended up ordering one. I highly recommend support this organization, as they help at risk young adults and provide them jobs as waiters and bussers and give the skills that will help them be successful for the rest of their lives. 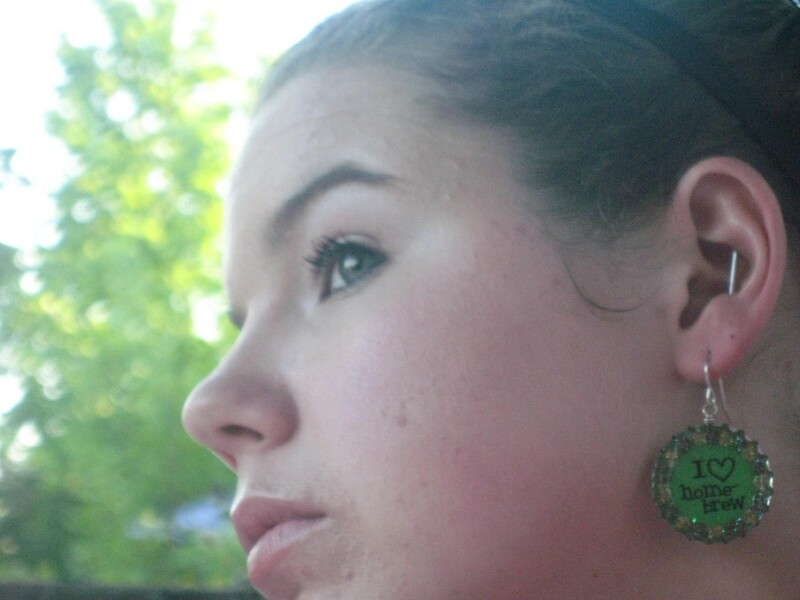 Jenna – Needless to say, you go to Viet Nam and Laos for the amazing people, food and nature. The beer is just primarily to keep cool. Have you been to Vietnam or Laos? Where did you go? Did you try any good beers or cocktails?